The Muziq's camera gets the job done. You can reach it via the camera button on the right side of the phone or through the menu system. The button launches the camera itself with the viewfinder running, ready to take a picture. 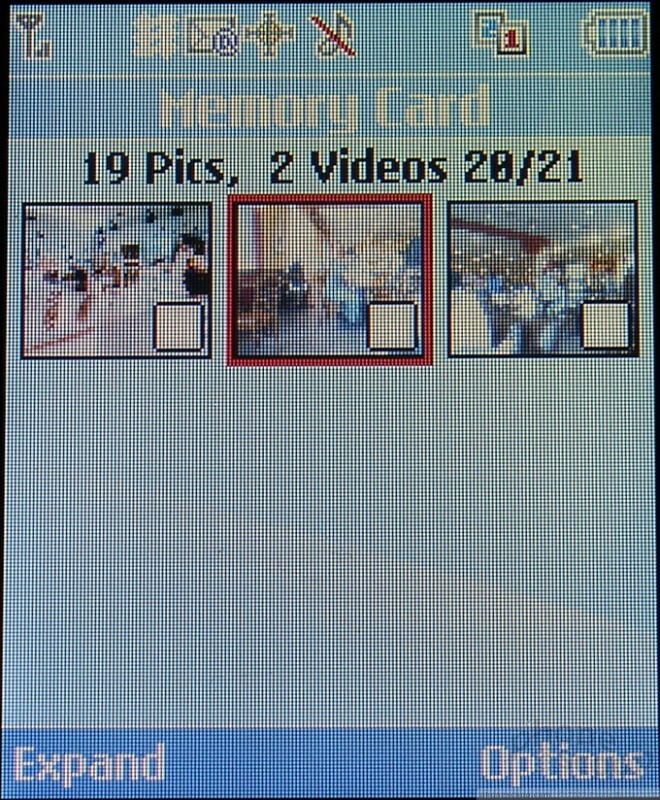 The menu opens the camera control page, where you can choose to launch the camera, video camera, look at your albums, etc. Obviously the side button is faster if you are in a hurry to take a picture of your boss kissing his secretary at the holiday party. Out of the box, the camera is set to the highest resolution. 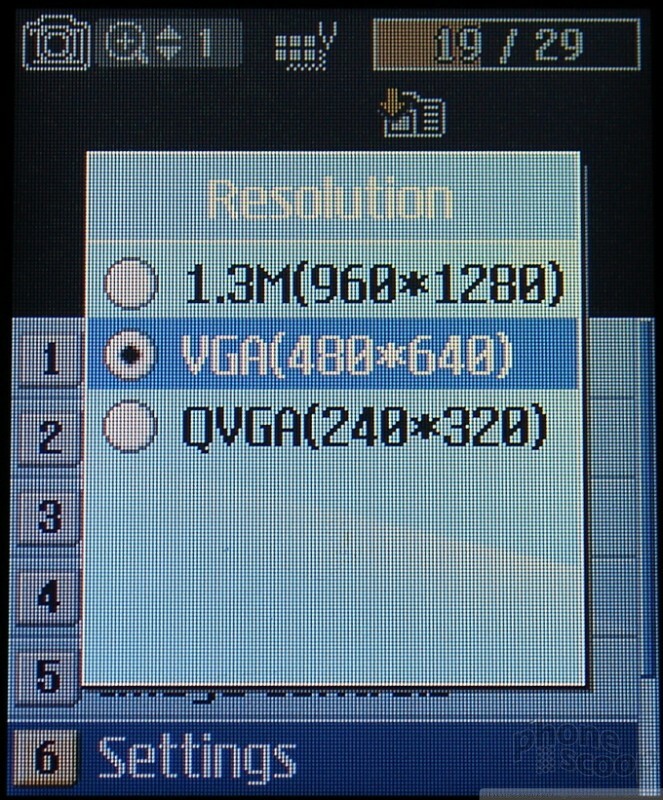 Unless you dial the resolution down a bit, you won't be able to zoom in or out. 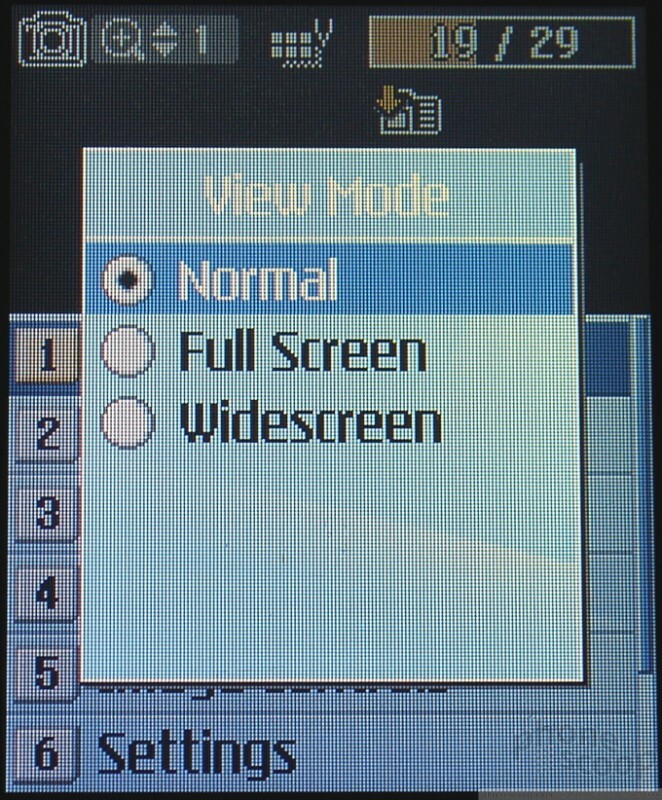 You can, however, adjust brightness levels from the main viewfinder screen. But that's about it. The only way to make adjustments is to hit the right soft key, which takes you to the camera options. 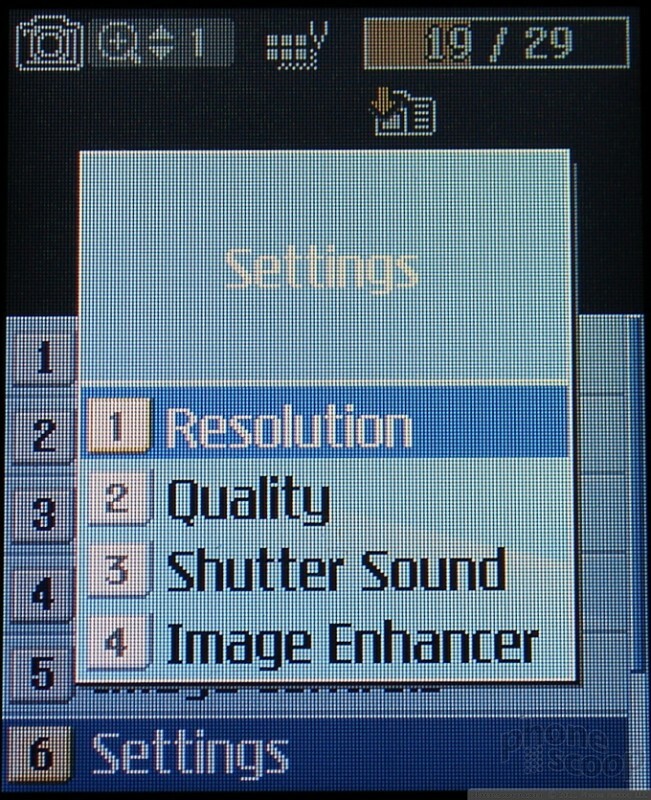 The options menu lets you make changes to the viewing mode, the flash, timer, color tone and image resolution/quality. Hitting the center of the D-pad or the left soft key will take a picture, which takes about 3 seconds to save to the memory card. Once the image is saved, it pops up on the screen. Here, you can hit the right soft key for a list of options, such as sending it as a message, printing it via PictBridge, or sending it to a printing service. If you want to take another picture, hitting the back key or the camera will take you back to the viewfinder. The gallery is slow to launch and slower to show pictures, which makes it somewhat frustrating to use. When you first launch it, the images appear one at a time and, depending on how large your gallery is, this can take a while. We're talking 5 to 8 seconds. It loads the first 9 images (which is all that fit in the display). If you scroll down, it will load the next 9 images. This continual loading of photos bogged down usability a bit. Hitting the left soft key will open up which ever image is highlighted. Once open, hitting that same key takes you back out to the gallery. Hitting the center of the D-pad places a check mark in the image, which lets you make changes to images en masse. This is a nice little feature that saves time if you have the same set of operations you need to perform to a number of different images. The right function key brings up a menu of general gallery options and lets you perform the same basic set of operations that you are presented with immediately after taking a picture. With an image open, you have a few more choices, such as rotating, editing or seeing the image details. One neat thing, if you scroll over a video (which is stored in the gallery next to images) it zooms open a little bit and gives you a quick fast-forward version of the video so you can see what it is without opening it.